San Juan (Puerto Rico) – April 15, 2019 (travelindex.com) – The 2020 WTTC Global Summit will be hosted by the Government of Puerto Rico’s Tourism Company and Discover Puerto Rico. Seville (Spain) – April 5, 2019 (travelindex.com) – H.E. 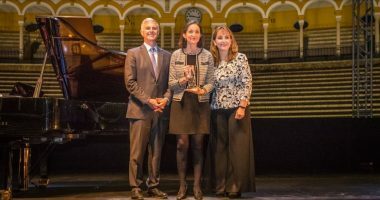 Elena Kountoura, Minister of Tourism, Government of Greece, has been awarded a prestigious World Travel & Tourism Council (WTTC) Global Champion Award at the 2019 Global Summit in Seville, Spain, for her country’s tireless work on Destination Stewardship.